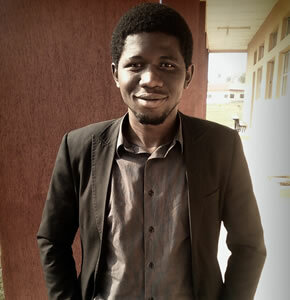 This is an interview with Fisayo Ayodeji Sanyaolu – the sixth in our Nigerian Internet Entrepreneur Spotlight series. The first spotlight was on Dayo Edunjobi. The second spotlight was on Adebola Oni. The third spotlight was on Babajide Ogunsanya, the fourth was on Desmond Ufuoma Okosi and the fifth Dennis Isong This is the sixth, go through it and wait for the seventh. FAS: My name is Ayodeji Sanyaolu. I’m a web developer and an SEO consultant. I’m the guy behind Secrets of Entrepreneurship. FAS: I started making money online in September 2010 as soon as my site started running and I make money through Google AdSense. FAS: Well, with the state of unemployment in the country and the interest people have developed in gaining knowledge on how to become a successful entrepreneur, I was confident that my blog would grow but not sure to what extent it would. MMON: You’ve been in the internet space for some time, how much of an impact have you made? FAS: I launched my blog late September 2010 and I’m happy to see that more of my traffic comes from search engines which means I have some answers to what people search for on entrepreneurship and maintaining a startup. FAS: I created a Facebook group and a Twitter account so I could reach out to more people once I publish new posts. FAS: There are so many ways to monetize an online business, but I don’t think there is a “single best way” to do it. It majorly depends on trying what works best for your blog. FAS: New bloggers should to be “very” passionate about what they want to do or write about. Making money online requires being diligent in delivering what’s useful to their audience and they also need to endure when results are not coming as the expected. Thus my formula is; Passion + Patience + Persistence = Success. FAS: Currently, i run 360Naija.com and Secrets of Entrepreneurship. I’m also working on launching 123Achievers.com with other two friends and also, working on building an online community for Secrets of Entrepreneurship which is located at https://www.entrepreneurshipsecret.com/community where we plan to share ideas in solving startups related issues and so on. MMON: Great stuff Fisayo. I’m gad I had this interview with you. I must confess, i’m inspired to unleash my potentials in entrepreneurship the more. Keep up the great work! FAS: Thanks for this opportunity. I’m so happy to be featured on this wonderful site. Thanks Soji.